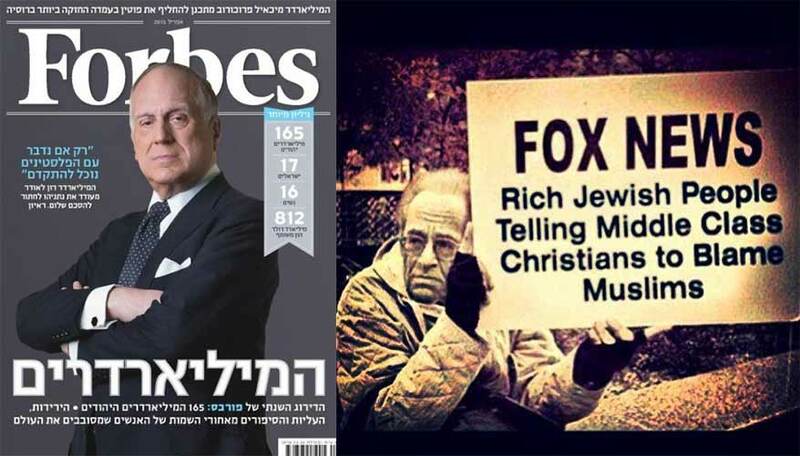 As the late Milton Himmelfarb admitted some years ago in the Jewish journal, Commentary Magazine, the Jewish community in America is inextricably linked to the American liberal community – the community "commanded" (as it were) by Hillary Clinton and Barrack Obama. 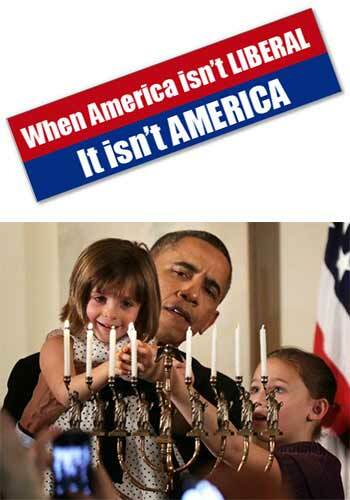 Jewish Americans are the most powerful and influential single group in the CLINTON-OBAMA political machine: what they lack in numbers they more than make up in the money they give to liberal politicians and causes, and in the way they dominate academia and the media in America. 40 percent of U.S. billionaires. 18% of Jewish households have a net worth of $1 million or more. 25% earned a graduate degree. The dangerous truth is, the Jewish community in America has reached the same extremely high social, economic and political standing that the Jewish community in pre-Hitler Germany reached – a status that far exceeded its percentage of the population (app. 1% of the population) – and their appears to be a growing reaction by average Americans against this phenomenon as evidenced by Trump's election to the presidency. Note: Press each tab to view its content. The liberal bias of the Jewish community was vulgarly demonstrated by the Jewish vice president of CBS - Haley Geftman-Gold. "If they (meaning Trump loyalists) wouldn't do anything when children were murdered I have no hope that Repugs [sic] will ever do the right thing,"
Geftman-Gold was presumably referring to Sandy Hook, which occurred in Newtown, Conn. back in 2012. A 20-year-old gunman, Adam Lanza, killed 20 children and six adults during the tragic event that sparked intense political debates regarding gun control. "I'm actually not even sympathetic bc [sic] country music fans often are Republican gun toters [sic]." Almost immediately she was bombarded by death threats. "In the last few hours my client, her family and friends have been bombarded by online death unimaginable in quantity and detail. We beg people to show love and support to survivors and loved ones — in Las Vegas and their own lives — instead of creating more violence." Geftman-Gold had worked at CBS since September 2016. She graduated from the prestigious Columbia University law school in 2000. 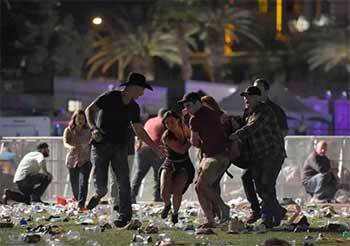 These astonishing remarks by Geftman-Gold regarding the tragedy at Mandalay Bay were reported by a journalist for the BBC – and they could not help but reveal the exceedingly liberal bubble that surrounds and permeates the American Jewish community. A kind of left-wing, liberal excess - the Kabarett Kultur - dominated the media, a liberalism which glorified sexual and cultural indulgence and which consigned the values of "ORDINARY FOLK" - which the liberal intelligentsia claimed were either stupid or barbaric, "das platte, all zu platte Volk" - to the rubbish heap. The truth is, LIBERAL American Jews have constructed for themselves a comfortable, supportive, and self-esteem-enhancing environment: the most prestigious and widest-reaching media outlets reinforce their views; rock stars and film makers provide lyrics and stories making their points; college professors tell them they are right, and the biggest foundations like Ford fund studies to prove them correct. As a result, American Jews have been able to live their lives untroubled by what they regard as serious contrary opinion. The capture of the media, academic, and institutional high ground enables them to dismiss their conservative opponents as ill-informed, crude, bigoted, and evil. 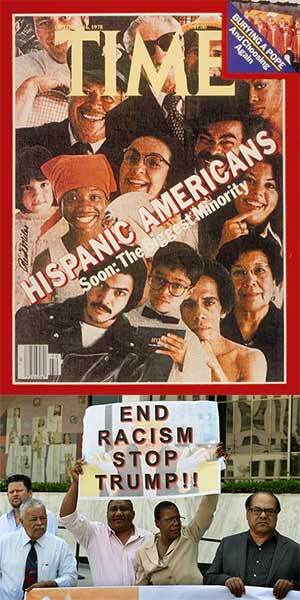 Rush Limbaugh and the other radio talkers "preach hate." 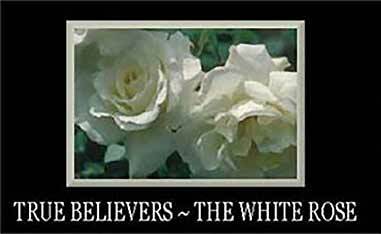 Evangelical Christians are "religious fanatics" comparable to the Islamo-fascists in their desire to impose a Christian theocracy. Catholics observant of the teachings of their church are "hypocrites" and their priests are hypocrites and even pedophiles. Interestingly, they often save their most vicious remarks against the pro-Zionist, conservative Jewish community schooled by the esoteric works of Leo Strauss. The effort by CBS to cover up the bias of Geftman-Gold was artificial and put-on. 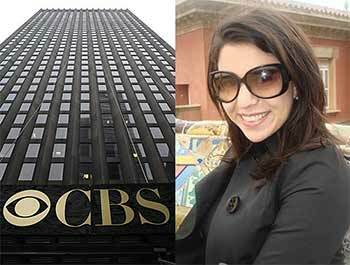 To believe that she was immersed in the liberal culture of CBS and did not reflect the biases of her fellow workers at that institution is ridiculous. The simple truth is, the liberal cocoon in which she was immersed DEMANDED (as it were) that the she reflect the liberal biases of her co-workers at CBS; and the same would have been true of all her fellow workers. 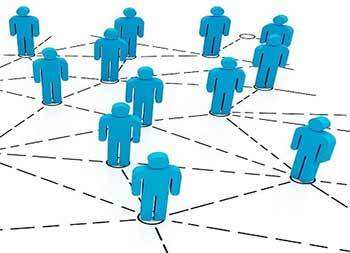 The fact is, the relationships we sustain imply endorsement - endorsement not only of the people with whom we associate, but more often than not, of their ideas as well. All these institutions have constructed for themselves LIBERAL envelopes that glaringly reflect the biases of the American Jewish community, which are secular and anti-religious, and hence anti-Christian. Relationships imply endorsement; endorsement not only of the people with whom we associate, but more often than not, of their ideas as well. Naturally enough, all the Jewish businessmen, media moguls, internet big-wigs, etc. listed above would retort that all they have been, and are trying, to do, insofar as the liberalism they are pushing on the larger American society is to mitigate the "rough edges" of the Christian culture in which they have ardently come to believe they have been "ASSIMILATED." However, the results of the Trump victory over the liberal CLINTON-OBAMA coalition suggests that growing numbers in the larger American culture are turning against it (them), despite the millions and millions of their dollars that they had poured into the 2016 election. What all this suggests is there is a lot of room for Trump to expand his conservative base as the CLINTON-OBAMA coalition continues to shrink – and at the forefront of Trump's base is the evangelical community, which accounts for over 24% of the over-all American population, or just about one-half of the Trump base. The Jewish liberal elite is beginning to worry about the direction the country is taking under Trump. Take Thomas Perkins, a hyper-wealthy venture capitalist. Salon Magazine reports that beyond his enormous success in business; he may be best known as the man who was profiled by "60 Minutes" for owning The Maltese Falcon, one of the largest privately owned sailing yachts in the world (he's since sold it). He's the former husband of Danielle Steel, one of the most successful authors ever, and he owns many mansions all over the world. 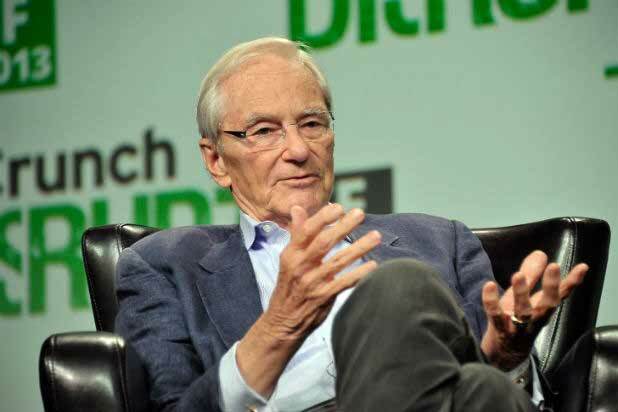 Salon goes on to say that, according to a letter to the editor he wrote to the Wall Street Journal, the reality of being Tom Perkins isn't so much defined by extravagant wealth, luxury, comfort, and power, but rather a growing sense of fear and dread. It's so bad, Perkins says, that being a member of the American 1% today is actually comparable to being a Jew in Nazi Germany. Seriously. He wrote this. "Writing from the epicenter of progressive thought, San Francisco, I would call attention to the parallels of fascist Nazi Germany to its war on its "one percent," namely its Jews, to the progressive war on the American one percent, namely the 'rich'." "From the Occupy movement to the demonization of the rich [meaning not only the rich, but also the American Jewish community] embedded in virtually every word of our local newspaper, the San Francisco Chronicle, I perceive a rising tide of hatred against us. "This is a very dangerous drift in our American thinking. 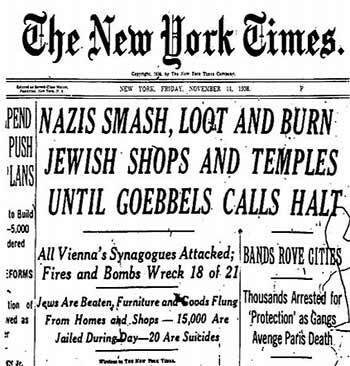 Kristallnacht was unthinkable in 1930; is its descendent 'progressive' radicalism [in America] unthinkable now? "For those who don't already know: Kristallnacht was a giant anti-Semitic riot, organized by the Nazi government, that left nearly 100 Jews in Germany and Austria murdered, and resulted in the incarceration of some tens of thousands more in concentration camps. It was an act of coordinated barbarism done in service of the Nazis' ultimate goal, the expulsion (and, later, elimination) of Europe's Jewish population." The Jewish led Anti-Defamation League reports that right-wing extremist groups are now surreptitiously joining the Trump coalition (and, ipso facto the evangelical's) and have begun to support coalition activists - providing support and protection for them against Antifa demonstrations and Trump rallies. 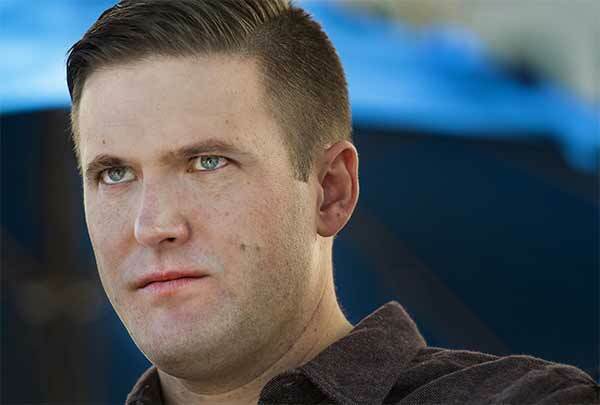 Spencer is a white nationalist who in 2008 coined the name for the alt-right. "I think if Trump wins we could really legitimately say that he was associated directly with us, with the 'R' word [racist], all sorts of things," Spencer said. "People will have to recognize us." This is at the core of what Spencer has been trying to do for years: legitimize white nationalism, which pushes the idea that the US should be a country for white people. German Lopez, a liberal activist, reports on Vox that in Berkeley (summer, 2017), activists descended on the city and attacked peaceful protesters. 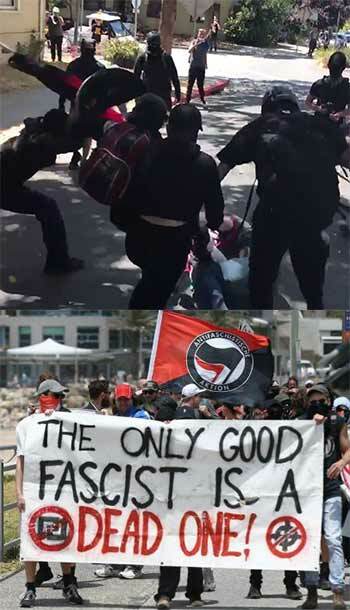 But it wasn't far-right white supremacists leading the violence: it was left-wing "Antifa" (short for "anti-fascist") counter-protesters who assaulted people. The attack on peaceful right-wing protesters has once again invigorated debates over the use of political violence — discussions that go back to a protester punching white nationalist Richard Spenser in the face during rallies against President Donald Trump's inauguration. The argument for antifa activists is that the current crop of right-wing protesters — which are partly but not entirely made up of neo-Nazis, KKK members, and other white supremacists and nationalists — are so extreme that they must be stopped swiftly and even violently. Antifa supporters worry that if these groups' views aren't completely robbed of any kind of platform, they could gain legitimacy — and take advantage of democratic ideals like free speech to, ironically, promote their undemocratic messages. Violence is one way to get them off the stage. 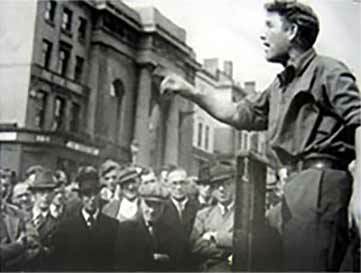 "[N]on-leftists often see [the left] as a disruptive, lawless force. Violence tends to confirm that view." Some of this backlash is already happening. Consider how Trump himself reacted to Charlottesville. He drew a lot of criticism for arguing that "both sides" had been behind the violence in Charlottesville, instead of pinning the entire blame on the white supremacists who swarmed the city and caused mayhem. One reason Trump could draw up this equivalence in the first place was because antifa protesters had been carrying out violence against right-wing groups for months previously. Moreover, it activates radical right-wing elements in the in the evangelical community. 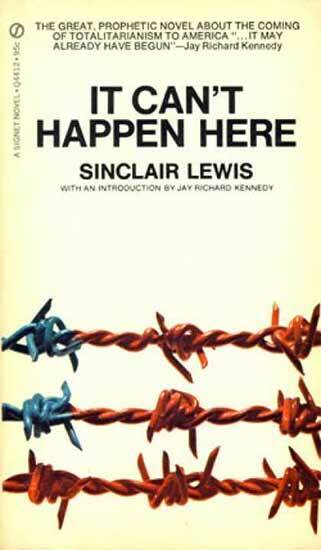 In 1935 Sinclair Lewis wrote in a book entitled It Can't Happen Here "When fascism comes to America, it will be wrapped in the flag and carrying the cross." "One of life's mysteries, for me, is how masses of people can do the incredibly cruel things they do. Individual brutality makes a certain amount of sense in that it's limited to one person. But mass brutality? I think this subject first came to mind after I read Adolf Hitler's Mein Kampf and William L. Shirer's The Rise and Fall of the Third Reich, A History of Nazi Germany. "There was nothing in either book that told me how such a highly civilized and culturally advanced nation as Germany could sink to the level of the Nazis. "'How could that happen'? I wondered. 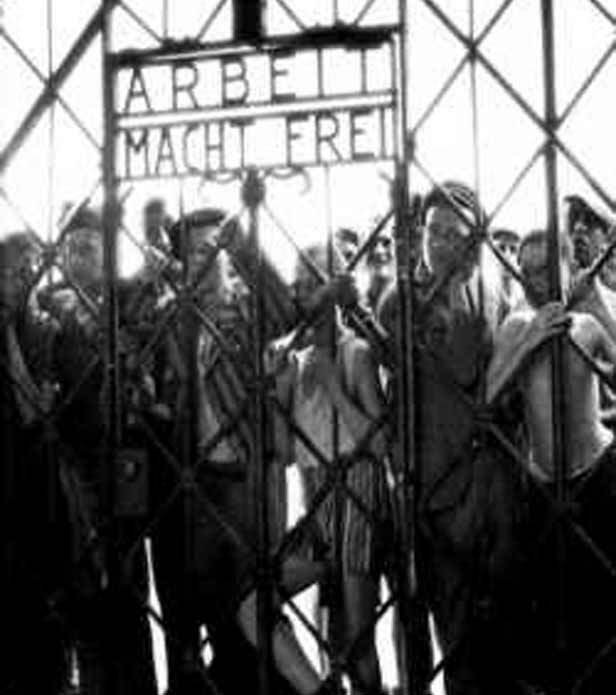 'What is there about the Germans that allowed them to become the MONSTERS they became? How are they different than the rest of us'? "So I spent a month pondering the question. 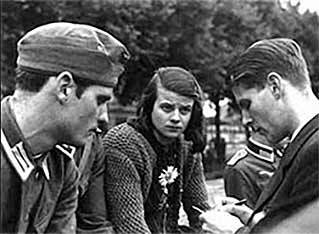 "The answer I came up with satisfied me then, and it satisfies me still: There is nothing different about the World War II Germans. WHAT HAPPENED TO THEM COULD HAPPEN TO ANYONE. It could happen to us. We are no better than them." 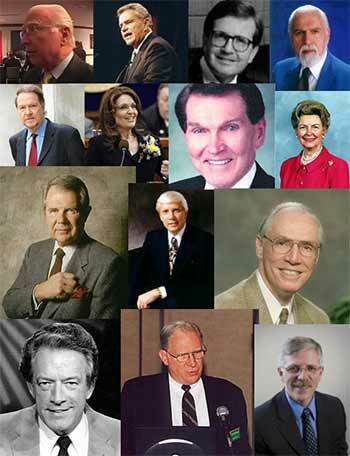 Some of the many religious-right leaders associated with the anti-gay movement; From left to right beginning at the top: Lou Sheldon, James Robison, Howard Ahmanson, the late R.J. Rushdoony, John Whitehead, Sarah Palin, Tim LaHaye, Phyllis Schafley, Pat Robertson, John Ankerberg, Bob Jones III, David Breese, Chuck Missler, Sam Moore. Proposition 8 (or the California Marriage Protection Act) was a ballot proposition and constitutional amendment passed in the November 2008, state elections. The measure added a new provision, Section 7.5 of the Declaration of Rights, to the California Constitution, which provides that "only marriage between a man and a woman is valid or recognized in California." Leaders associated with Proposition 8 included: Chuck Colson, Founder Prison Fellowship & BreakPoint, Che Ahn, Harvest International Ministry, Vonette Bright, Co-Founder, Campus Crusade for Christ, International, Bishop Keith Butler, Founding Pastor, Word of Faith International Christian Center, Kristina Arriaga, Executive Director, Becket Fund for Religious Liberty, Jim Daly, President & CEO, Focus on the Family, Lou Engle, The Call to Conscience, TheCall, Father Joseph Fessio, Editor in Chief, Ignatius Press, San Francisco, Maggie Gallagher, National Organization for Marriage, Professor Robert George, Princeton University, Professor Timothy George, Dean, Beeson Divinity School, Jack Hayford, Founder and Chancellor, The King's College and Seminary, Mike Huckabee, Former Governor of Arkansas & Host, The Mike Huckabee Show, Bishop Harry Jackson, Jr., High Impact Church Coalition, Alveda King, Silent No More Awareness Campaign, Richard Land, The Ethics and Religious Liberty Commission, Ron Luce, Founder, Teen Mania & Battle Cry, Bishop Richard Malone, Roman Catholic Diocese of Portland (Maine), Eva Muntean & Dolores Meehan, Co-Founders, West Coast Walk for Life, San Francisco, Penny Nance, Concerned Women for America, Tony Perkins, Family Research Council, James Robison, Life Outreach, International, Samuel Rodriguez, National Hispanic Christian Leadership Conference, Alan Sears, Alliance Defense Fund, Chuck Stetson, Let's Strengthen Marriage Campaign, Steve Strang, Publisher, Charisma Magazine. The proposition was passed by voters, but the California Attorney General Jerry Brown (now governor of the state) - in a series of very under-handed moves - suppressed the proposition and invalidated it. The essentially illegal defeat of Proposition 8 engineered by Jerry Brown excited evangelical Christians to begin to organize as never before. "It's a chilling moment. Democracy is crumbling, and I believe, again, we're going to see the persecution of the church ... Across the board, religious freedom now is being trumped by gender freedom." "I believe we're headed to an Elijah/Jezebel showdown on the Earth, not just in America but all over the globe, and the main warriors will be the prophets of Baal versus the prophets of God, and there will be no middle ground." "And just how are Christians supposed to ultimately deal with the "homosexual community?" 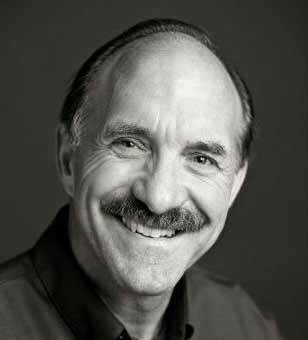 - Engle gave an answer to a small, intimate group of his followers several years ago in Kansas City whom he calls "Yahweh Separatists:"
"The Yahweh separatist prophets gotta kill those guys!" 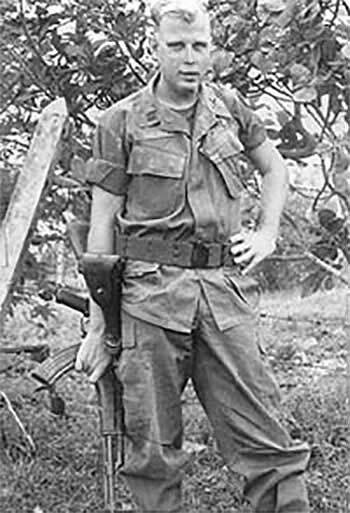 And unless one should think that Engle is not representative of a large portion of the evangelical community, one should take note of the fact that Engle is publicly endorsed by such evangelical "heavy-hitters" as James Dobson of Focus on the Family and Tony Perkins of the Family Research Council. 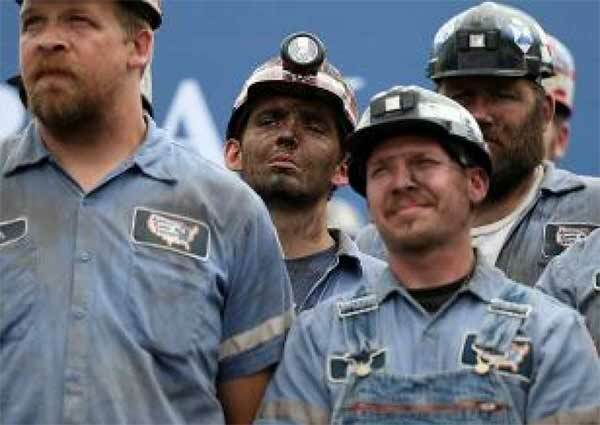 "Our president [i.e., Obama] two days ago came out and said 'We bless the fathers of families that have two fathers'! This is a decree, a blessing, called this month, LGBT [Lesbian, Gay, Bisexual, and Transgender] pride month. When decrees come from high places, it actually opens doors! It is a key! 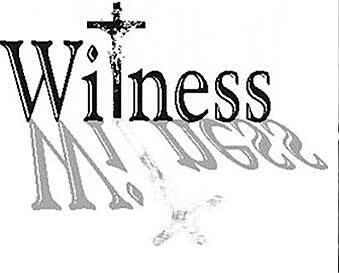 It unlocks the spiritual realm for the fueling of the demonization of culture!" 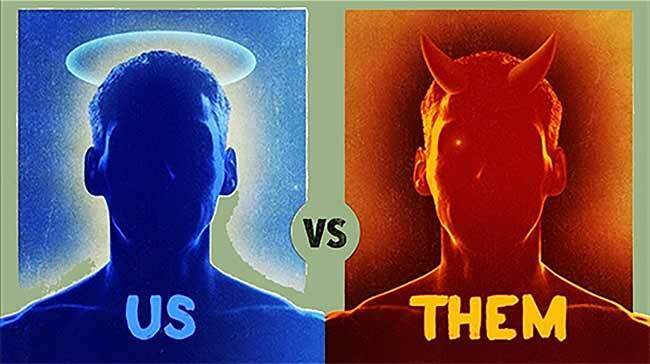 FLEE THE "US VERSUS THEM DYNAMIC"
ARE YOU BEING DRAWN INTO THE "US VERSUS THEM" DYNAMIC THAT IS NOW AT WORK IN THE UNITED STATES?